When I was in high school I was regularly assigned the classic “Current Event.” It was basically just clipping an article from a newspaper and summarizing it. It felt boring and irrelevant already (and I don’t want to tell you how many years it’s been since I was in high school!). It’s no secret that the way we interact with news has changed dramatically since the days of sitting down with the morning paper. So I decided to try my hand at an update to the classic Current Event assignment of yore. Mine emphasizes two areas: discerning facts and building empathy. Building Empathy. 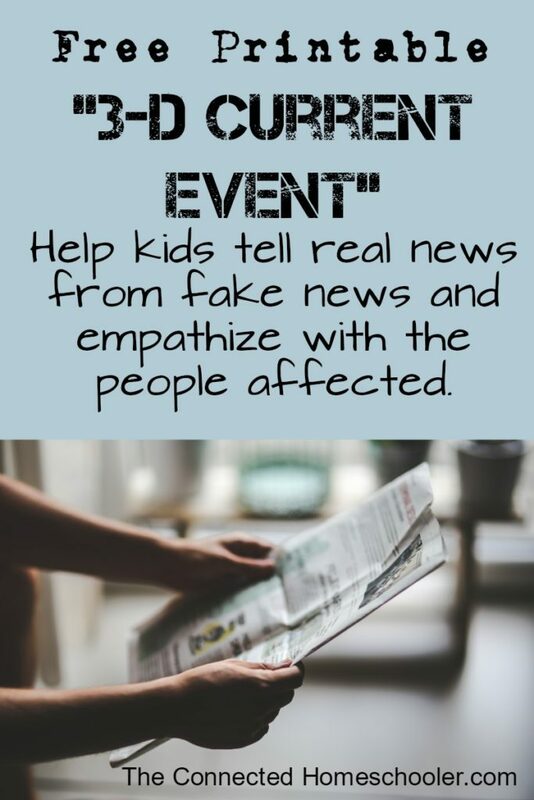 News is a great opportunity to build empathy by putting ourselves into someone else’s shoes. Who will be affected by this news? How might they feel? These questions are vital if we want our kids to connect with others and develop emotional intelligence. My goal was to make it as simple as possible, while emphasizing the importance of thinking critically and looking at evidence. I tried to make it possible for even a young teenager to get it done in less than an hour. I also hope that, as they practice, they can go much faster. My hope is that it really changes the way they look at news permanently. The form is a single page designed for typing into, but if your kids would prefer to write you may want to utilize separate paper because the blanks may be frustrating. 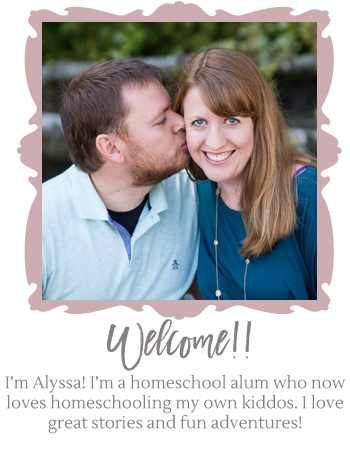 My sister Erica, who is a former journalist, helped me immensely with this labor of love, as did my friend (and homeschool mom!) Eliecia. Thank you both so much!